Join Trash Puppets at the Adelaide Fringe for a spectacular adventure, Escape From Trash Mountain. Playing at The May Wirth at Gluttony, Rymill Park/Mullawirraburka, Escape From Trash Mountain is a heart-warming story about hope and rubbish. Join our puppet heroes as they escape the dreaded landfill in search of a better life. Be amazed as they fight trash bats, navigate treacherous ravines, and outwit hideous trash monsters! Brought to life by Jhess Knight and Amy Moule of Trash Puppets, this new environmentally sustainable production is set to inspire people of all ages to get creative using recycled and reused materials. 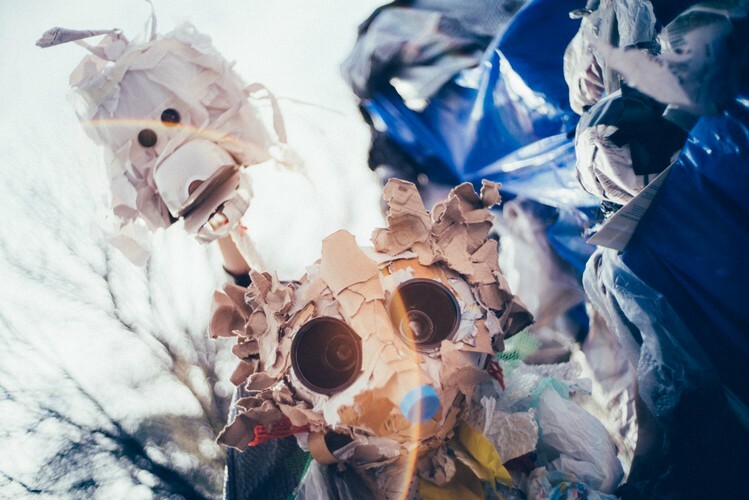 Trash Puppets believe that the key to sustainable living is in finding creative solutions to problems. They also believe in the power of individual creativity to inspire and transform. Regardless of gender, age, or ability, puppetry truly is an art form for all.